What is a sub-culture? To me it is something that is not initially apparent to all, because it is an underlying, almost understood thing within different communities or groups. In order to be part of one, you must discover it first and then become active within it, otherwise you are just an outsider. I always knew the word…just didn’t have a real understanding of the many facets of sub-cultures that exist out there today. And while we are supposed to be discussing music, my mind takes me back to learning how easy it is to find subcultures, and to become involved, and then absorbed into them. I got a tattoo at age 40. I had resisted that long, perhaps because my husband at the time would have frowned upon it (or so he says, even though he now has one too), perhaps because I was afraid to do it. I had always associated tattoos with a certain group of people, mostly the criminal biker gangs, possibly drug addicts, prison inmates, or even skinheads…and I was afraid of all of them. I stereotyped what I thought it meant to have a tattoo and didn’t imagine I ever would do that. It soon dawned on me that many people get tattoos as a way to express themselves or to remember something important, whether it be a loved one, or a connection to an ideal. This seemed more acceptable to me, and of course, it was silly to think that all people with tattoos were bad people. Maybe tattoos have had a coming of age, but they are certainly more widely used than ever, and more acceptable than ever before. Off I went to get my tattoo. I thought about it long and hard beforehand…what would I get? At the time, I was going through a divorce. I was actively engaged in Karate and learning a lot about the Shotokan style and the Samurai way. This in fact, was my second divorce, equally as painful as the first one had been. Two mistakes…and the common element was me. I wondered if I was to blame. At the lowest time in my life, I learned more about myself than ever before. While I felt weak and depressed, therapy helped me realize that I actually had more fortitude than many others. I decided that I admired the Samurai philosophy of wishing to die only at the height of their glory on the battlefield. They equated this desire with the beauty of the cherry blossom, and it became their emblem. The cherry blossom, you see, does not wither and die on the tree. The petals reach the height of their perfection and then they fall to the ground. On my body, I have a perfect cherry blossom, 5 petals strong. The Samurai symbol of strength and beauty. And below it, two petals being carried away in the wind ~ two withered memories I left behind, to gain my freedom. While I had been searching for a place to go and get this done, with an artist that I felt would not leave me with a blotchy, blue mark, I came across some artwork displayed in one particular studio. They were photos of people being suspended by ropes. My eyes were widened and I walked further down, to discover more photos, this time of people being suspended by hooks through their skin. Being naturally curious and horrified all at once, I went home and Googled. Oh the things that I did see, that I cannot un-see now. I am afraid again! Clearly, I’m afraid of something I don’t understand. And I decided that I did not want to understand this… Every level of this sub-culture I had found seemed to unfold into another, deeper level of itself…..but, I still wanted the tattoo. I guess that’s how sub-cultures work. We get introduced to something, and we can decide if we like it, want more of it, will explore it, or, whether we’ll reject it. What does this all have to do with music? Our human culture is made of ideas, artifacts, practices or rituals, rules, language, history…what you need to know in order to function in society. Within this huge culture are many sub-cultures, and from these we have derived the world’s various genres of music. The ‘Whole’ part of music is that it is a pleasing sound and/or rhythm that humans enjoy, that causes us to move, can cause us to be sad, excited, or frenzied. This pleasing sound and those rhythms have been passed down within each culture and have morphed over and over again, joining together, splitting apart, to explore the development of new sounds that we can appreciate, new rhythms that we can dance to. Instruments developed differently in different regions, and from this sprang the ability to create notes with different characteristics, modes, scales, and pitches. We have borrowed ideas and sounds and art and colour and ritual since the first hungry wanderers decided to see what was on the other side of that mountain range. Plainsong or Plainchant, is a body of music based on chanting, formed out of religious rituals. It is monophonic in nature, meaning that it consists of an unaccompanied voice. 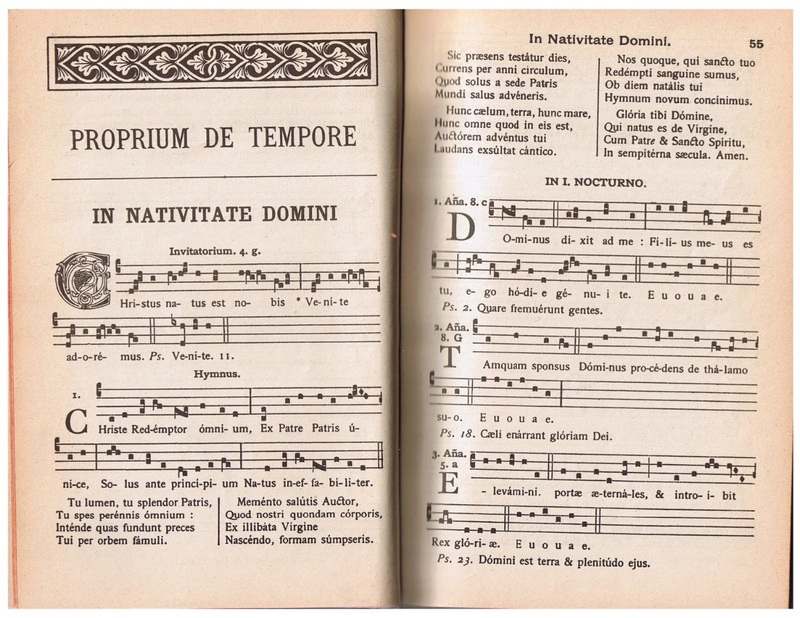 It is typically responsorial, with choir or soloist having the congregation respond, or antiphonal, when alternating verses are switched between these groups.. If you’ve been to Church, you’ve heard Plainsong. Its development began with early Christianity, with influence from Jewish Synagogue and the Greek modes. Folk Music was what the people made together, around a campfire, sharing a meal; singing of love, fears, conquerors and heroes long into the night after their children were put to bed. They did not have musical notation, did not write anything down ~ these songs and rhythms were learned by repetition and passed down from generation to generation. The intended audience was typically the locals themselves, made mostly for insiders. The odd traveler may have stumbled across a village and heard a new song, and brought snippets of it with him to the next village; the first appropriations happened in this way. Here we have the Dionysian archetype, the one representing chaos. Art Music became a more ‘elite’ (and I hate using that word when speaking of music) form of song, what with being transcribed and with wealthy patrons supporting it. It was found more in urban centres and in the last couple of centuries, it began to be identified by Nationality, often pertaining to the courts in the area. This equates to the Apollonian archetype, representing order and refinement. Popular Music combines elements of both Folk and Art, stored & recorded. With advances in technology, it became mediated through radio and television, and has become mass-mediated, moving the artists suddenly from a low-brow/folk status to a high-brow/elite status. Therefore, it is a hybrid of Folk & Art. This category is further divided into genres such as Jazz, Rock, Metal, Hip Hop, House, Funky House, Jungle, etc. Jazz itself can then be sub-divided into many other genres, each developed from a sub-cultural standpoint: Dixieland, Free or Progressive Jazz, Blues, Gospel, Funk, Be-bop, Cabaret. Sacred Music, based on a liturgical or ritualistic function, helps us to navigate through our traditions of worship. Specific music was developed for every occasion; for a funeral, longest day of the year, short day, full moon, wedding, etc. This then became synonymous with Religious music, with musical rites pertaining to each church calendar event. Since different religions were exclusive to certain areas, the music and the approach was different, but travelers, scholars, and other worshippers on their pilgrimages soon brought elements of what they saw and heard back to their own communities, and sacred music became a Transnational fixture, still with its differences, but now with some similarities as well. Western Music (and we are not talking about Country & Western just yet) or Western Art Music can then be brought forward as a European genre of music that became formally notated, (written down) theorized, yet still built upon Folk music, Art music, and Popular music. In Pre-Imperial Europe, up to 1500 AD, Plainsong was primarily what was heard, based on the sacred or liturgical music of the area. As trade routes expanded, theologians discussed beliefs, philosophers pondered the meaning of life, new food was tasted, and flavours were endlessly mixed, leaving us with Western Music ~ the evolution of sound sifted through the fabric of culture. Plainsong was the root, with Folk music, Art music, and Popular music of the times intermingled within. 1.	traditional music from the developing world. o	Western popular music incorporating elements of traditional music from the developing world. This term was coined in the 1980’s when there was a surge in combining Western music as we knew it, with elements from ‘the rest of world’, and it resulted in more hybrids than one could possibly imagine. Borne from mankind’s curious nature and appreciation for new things, some would argue that this was unfair cultural appropriation, since others profited from what they saw and heard elsewhere. While we struggle with the correctness of this, could we ponder also that since the earliest days, the appreciation and borrowing of musical strains and ideas brought us to the universal knowledge that music can cross any barriers? Like a smile, you do not need to know the language of the place you visit, when you can share music and rhythm and dance, food, and art, and fit in perfectly ~ and when you take some of it away with you, it is because of the pure enjoyment and appreciation for what you’ve experienced. You may not understand it at first, you may reject certain aspects of it, yet embrace other elements. Ponder the thought that cultural purity is an oxymoron. Let us continue to share. In Term I, I wrote a journal outlining my thoughts on our course material to obtain a mark for our class. I enjoyed it very much, and was able to absorb the material more easily because I took the time to write about it, and it was challenging to do further research on some of the concepts or building blocks that were presented to us. I’m three weeks behind in getting started as I initially thought I’d have an easier term this time around, having completed the year’s assignments in one semester and not being required to do this again, however, I realize now that this method of retaining information will still work for me this term. Here we go! What’s a Global Village? The saying, “It takes a village…” rings true in so many ways. Banding together always seems more effective than isolation. However, the concept of a Global Village seems more abstract than that. Our Globe is divided, and seems more so every day. Yet we can find commonalities from which to draw, at almost any given turn. The development of culture from the dawn of civilization is so similar, even across different regions of the world. We are the same inside. We crave love, we need food, we bleed red, our hearts can feel the same things, we love to hear beautiful sounds. Yet we fight ~ for power, over borders, over religion, over natural resources. We even fight over the appropriate use of ideas or themes from cultures other than our own. The more we seek to isolate ourselves, the more it seems apparent that we are all connected. DNA research has allowed us to understand more greatly, where we have evolved from. A White Anglo Saxon Protestant can be surprised to learn that their DNA contains evidence of strains from Africa, India, or the Mediterranean or the Middle East. Some find this incredibly difficult to understand or to swallow, because of their ingrained belief that they are superior in some way to these foreign cultures and places. Take for instance, a Greek person who may discover Turkish blood in their family tree. This cannot be! The age-old hatred between these two countries and their people must live on! It is still preached in their churches! They couldn’t be more sadly mistaken. The world’s beginnings are unclear and there is much controversy over its start. Did God make it happen over a week’s worth of planning and creation? Or was it a cosmic explosion starting with the division or collision of two cells, which divided and multiplied and mutated? 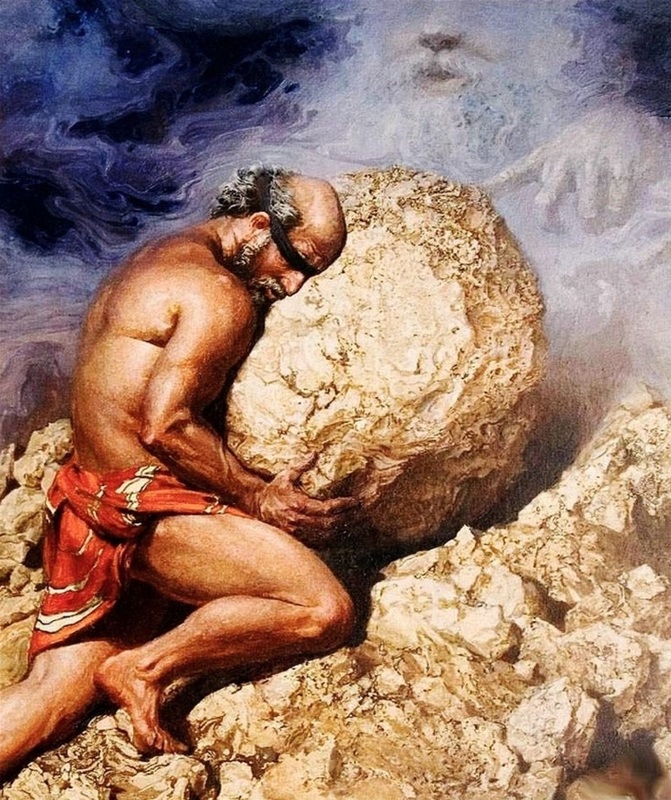 We can believe what we want in this area, but once we began to uncover and study the dawn of man and our history as upright beings on the planet, it is irrefutable that we have sought to survive, and improve ourselves, since time immemorial. The Hunter/Gatherers moved around to seek sustenance. In their quest for survival, and their inherent curiosity, they encountered other Hunter/Gatherers that had different foods, different resources, and different customs. They fought, they assimilated, they made love with each other… and mankind expanded itself. In this Neolithic Revolution, culture was shared, culture was learned, culture was assimilated. Cultivation began, stakes were planted, and opposition between city dwellers and farmers was clear ~ the ‘haves and the have-nots’…yet each depended on the other to flourish; Farmers needed city folk to purchase their wares, city folk needed farmers to feed them. Counter to this need for each other, the city dwellers viewed the nomadic outsiders as heathens, and the nomadic free-spirited ones viewed the city slickers as ‘slaves’ ~ slaves to wealth and greed. The dependency was real, and so was the animosity. The assimilation came from appreciation. This was a spontaneous event, in learning that we appreciated, even became excited by, another culture’s music, art, structures, food, customs, rituals, skin colour; our ‘human software’. The next iteration became a hybrid of the first two, and so it continued. Now, we live in a complicated, technically rich and powerful world, and our human instinct is still that of exploring in wonder and taking in new things. Our world is torn apart now, by war and greed, destruction of humanity and its history. The warmongers care not about the richness of our history as a Global Village. Even today, some of the oldest known evidence of human civilization is in an area under siege, and our precious history is being destroyed, not by accident, but on purpose. Consider the timeline of Ancient Civilization as you know it to be ~ some of the earliest known settlements and remnants of cultures date back to 3000 years Before Christ. The Bronze Age, the early Egyptian Hieroglyphs, Pyramids, Stonehenge. They all fascinate us, and we consider these milestones and their cultures to be the ones that we sprang from. 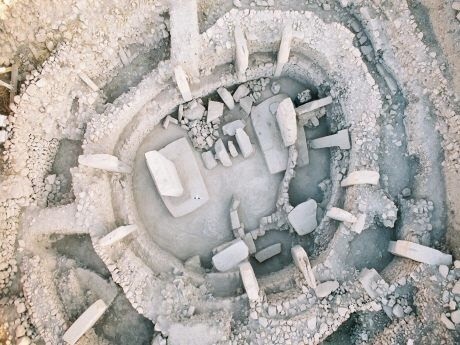 Science has since enabled us to advance in our carbon-dating technology, and we now know that there were other, even earlier cultures, which have been found right in the middle of Southern Turkey. They lie now in an area that is being ravaged by missiles, and its heritage and designation as a UNESCO site is being disrespected. I had never even heard of Gobekli Tepe prior to this lecture, and while I knew a bit about the ancient civilizations of the Levantine people, I did not know these interesting ruins existed. The Levant is the area of the Central Mediterranean, which we now call the Middle East, and it is made up of Israel, Palestine, Iraq, Iran, Syria, Jordan, and Lebanon, bordering Turkey and Saudi Arabia. Imagine how closely all of these people are truly related, and imagine further, how long conflicts between them have raged. I don’t believe that the rest of the world has a right to step in and try to mediate in this area, especially without understanding the rich history and culture that came almost 10,000 years Before Christ. When we stop to consider the reasons why America and the rest of Europe are involved and seem to have taken sides, it is because of natural resources, and the greed that goes with ownership of these resources. When we stop to consider why there is terrorism, it is because of religious differences. What compounds it now, is that the religious differences have become tied to wealth and to superiority, and millennia later, innocent people are still being slaughtered, and civilization’s beginnings are being wiped off the face of the earth without a trace. It does not paint a pretty picture of what humankind has become. For some inspired reading, we were encouraged to look at Ernest Becker’s Escape from Evil, a book which ”examines men's efforts to escape from the fear of death by performing acts of human wickedness through socially-sanctioned institutions”. Is fear then, the cause of all of our distress? What could possibly be the one thing that could eliminate this fear, if used to its advantage, to find commonality between peoples of different cultures and religions? Music could be the answer. Now here’s a howdy-doo ~ our class discussion took a 180 degree turn and instead of a discourse surrounding music itself, we came around to the Music Business and how to be successful as a musician. Many musicians have likely chosen the profession without a lot of support from their parents, because the parents don’t see it as a viable career. Now, it could be that those parents don’t know what the work of a musician involves, and think that it is an easy (read lazy), attainable, and light thing to do. Or, it could be that those parents have seen what the struggling artist must endure for the love of their art, and they don’t want to see their child suffer. Both ideas are misguided, however, the second one has a little more merit, in that it can be exceedingly difficult to make a decent living as a musician, unless you hit the big time. I am lucky to have a supportive mother...but she was not so lucky with her parents! Nevertheless, she made a wonderful career out of her music. What can we do then, to be exciting, hirable musicians when we graduate? (And I’m speaking more for the 20 somethings in the group, although I have the same aspirations). I believe that the more self sufficient we are, the better, but also, that there must be a safety net involved. A safety net for a musician is necessary because while there are many opportunities to perform, there are equally as many different levels at which to perform, and to be compensated for such. Some emerging artists enter competitions and are extremely successful, others may enter and even win, but still there’s no guarantee of superstardom after that. It’s no secret that even at the top of one’s Operatic game, for instance, that the Opera Houses cannot always pay a full salary, so there are often wealthy individual benefactors who step in as a Patron of the Arts. That is the height of heights and still it is a very risky, subjective area to be in, concerning pay. Seek out what’s going on in the ‘scene’ at the level in which you’re comfortable being out there, and join in! We all have to start somewhere. There are any number of other (non-musical) things you can do to supplement your musician life/income. Many choose to find something that is related to the field, for instance, I know a few ushers at the COC who are beautiful singers themselves. They are already inside the organization! Some build websites for Artists because they have that skill set. Some offer help with Income Tax because they’ve found out all of the tax write-offs that are allowable for a working Singer to claim, for instance. You want them helping you! Some hold down bank jobs during the day, or drive a bus, or do modeling. Another has developed a soul and body-renewing Yoga program for singers! Dig down and figure out what your other ‘major’ could be, hmmm? We need to NETWORK. Networking is vital to moving forward and to finding new connections or building stronger existing ones. Not everyone will help you as I’ve learned over the years. In a 30 year career I have built an incredible network of colleagues and friends, some have helped and some have not. In Real Estate for instance, they say that for every 100 phone calls that are made, the odds of a ‘sale’ are 100:1. Imagine how it must feel, contacting 100 people and then selling 1 home, or widget. We are better off building a network of colleagues and slowly becoming known within each circle of our ability, as we grow. We will become braver as things move forward! We must be entrepreneurial...we cannot sit around and wait for things to happen, or to be invited to perform. No ~ we must make our own opportunities. Is there a work you want to do in Recital? If you have a few friends who are collaborative musicians, that’s a fine place to start! Ask them if they’ll be part of it, and you are now THE IMPRESARIO, creating something and getting it moving. Do you know someone who owns a business? Perhaps they’ll sponsor you for a mention in your program. If you don’t ask, you will never know...so we must ASK! If you can build a budget, then you know how much money you’ll need to raise, to rent a venue, get insurance, and pay your musicians properly. The Arts are a very worthy thing to sponsor. Musicians - if you hire your friends and split the door after expenses are covered, then they’re paid and so are you. Advertising doesn’t need to cost anything - Snapd is free, EventBrite is fairly cheap to sell tickets through... LinkedIn, Twitter, and FB are all useful. But emailing people directly (not spamming all your friends at once) always seems to be the best way. Put yourself out there! I feel that too many are afraid to put examples of their work out on Social Media. There IS a fine line to this, in that what you share needs to reflect your best foot forward. If you’re not sure, ask a trusted peer or teacher/professor/coach whether your material is “Facebook Worthy”. Chances are that you’ll have something that is excellent and can easily be posted. The fine line though, is to be careful that you do get the feedback and that you trust it. When I first started posting things online, I had one colleague say that she felt a few spots were under pitch, so I took her advice and did not post that song from a Recital. In another instance, a trusted friend felt that my French diction was not correct enough...down it came. These days, it does not cost any money at all to make a decent video and to upload it to YouTube and distribute it. I’m not saying that everything you post needs to be perfect, because that is just not possible ~ but your very best effort and one that shows the preparation and potential that you have, now that is exciting. Video is the most telling...there is little we can do to edit or enhance a video, or even a home recording for that matter, so that is why many requests for submissions call for a Video. If you can believe it, an hour of Studio time to lay down and refine/master 1 or 2 tracks can have wonderful results...you don’t have to make a CD and publish it...but you can walk out of there with a darn good mp3 version of your work, for a couple hundred bucks. Look for commonalities to introduce yourself with, to strangers. Want to engage a Music Director? Read THEIR bio online, to see if there’s anything that you could mention that will start a conversation, or pique their interest in you. Maybe that Conductor is from your hometown, maybe they once played trombone too. Are you singing Russian rep? Strike up a conversation at the local Russian deli...it could connect you with their Church group, with the Russian Community, with their local newspaper... BOOM! I once had a gentleman show up at my door trying to sell me windows...turned out he was Russian and the next thing I knew, he was an attendee at my Recital! Do you have a comic gift? Incorporate that into something you’re doing. Perhaps you could combine an art show with your performance, using pieces that reflect the nature of what you’re singing about. Perhaps a dancer who would love to be involved could also add an element of interest. Each person you involve, has their own network of people that they could call upon to support the efforts of the group. The trick is to find the people who are as committed as you are, to get bums in seats. <3 Many performers who are established don’t even need to try to get an audience...but those who are hungry, like you, know the value of networking and selling themselves. YES!! Sell yourself, always...but find that balance between too much ego and too much shyness. Your real enthusiasm will always shine through. None of these ideas are ‘new’ but you get the drift! I am one of those people that says YES to everything and sometimes that is exactly the right approach, but once in a while, it is not the right thing to say. Oh gosh, we worry, that if we say NO, will they ever ask us again? I believe the answer is yes, they will, if they were truly interested in you to start with. Your health and your ability to learn the material and give your all to whatever you’re working on is still the most important thing in the world. I am also one of those people who is innately disappointed when I don’t receive a response to an email. There have been many, many instances where I do receive a response, but even more where there is none. This is something we must get used to and somehow not take personally. I suppose it may be true, that those ‘in charge’ cannot possibly respond to every artist that sends their bio and headshot along with a sample of their work. I believe persistency is the key here. (Still, I’m befuddled with why they cannot respond...I’ll equate it to me running a Facility with 1200 heads in it, or managing a $10 million dollar project...and having a response commitment of no less than 24 hours...and no unread emails in my inbox, to the tune of receiving between 30,000 to 50,000 emails a year. NO UNREAD emails, and everyone requiring a response got one.) Alas, it’s the nature of showbiz...we must submit to it. Never give up, that is my motto. And if you try, then you have at least tried, instead of doing nothing at all. A great Opera Chorus Director once said to me “Always Try”. I have taken it to heart. We all need inspiration, and we are lucky that there is so much of it available! Susan Eichhorn Young’s Blog - she speaks often of The Authentic Voice...finding the beauty and worthiness within your own self is so important. Cindy Sadler’s Blog - The Business Of Singing is a fantastic resource! I hired Cindy to help me build a proper resume. The Audition Clinic and book a session with Renee and Allyson when they’re next in town. Better yet, start your OWN THING! MUCH LOVE AND HAPPY ENTREPRENEURIALMUSICKING. After exploring much to do with vibrations and how they are related to the birth of the world, then delving into theories about chaos and order, fractals and Fibonacci spirals, studying various world rhythms, and finally looking at the many forms that music can take, we are now stepping into the realm of acoustics and timbre. Acoustics is the science of sound, a branch of Physics and Engineering melded together, and timbre is the quality of that sound. Timbre is included within the smaller spectrums of form, meter and scale and is equally as important. For a singer, timbre is everything. In 1863, a physician and physicist who had already made significant contributions to the scientific community, published his views ‘On the Sensations of Tone’, which became the foundational work on acoustics and sound perception. Hermann Von Helmholtz turned the world on its ear by opening up discussion on how we perceive different sounds, with his paper and also with his invention of a resonator machine that would help to unravel the structure of sound waves and how they travel in various frequencies or pitches. Helmholtz’s theories and Resonator machine were the herald of modern day acoustics. Acoustics, derived from the Greek word ἀκουστικός, (akoustikos) is a multi-faceted science that covers the study of all sound waves found within gases, liquids and solids, and includes vibrations, sounds, ultrasounds (high frequency sounds), and infrasonics (low frequency sounds). In my past career, acoustics was often touched on from the perspective of dampening sound, or adding white noise in order to make a workplace more private. We studied the NRC ratings or Noise Reduction Coefficient properties of materials such as ceiling tiles, drywall, carpet, and panel fabrics. I’m excited now to be learning about the use of acoustical properties of spaces, as they relate to music. Since my work had involved adding fabric or absorptive materials in order to dampen sound, I never really understood the application of using these same strategies in a concert hall, mostly likely because my preferred space to perform in would be a very live one, such as a church. However, in modern days, we now must also consider other types of music and sounds, such as amplified sound; for instance, a stone church or space filled solely with hard surfaces wouldn’t be conducive to having a rock band perform in it. It is because of this that some modern concert halls are said to be acoustically superior from others for classical artists, but the opinion depends on the type of music or sounds being played and heard, and on the ears which are hearing it. Ultrasonic - Fast moving or high frequency sounds; most commonly known for advances in medicine which allow the capture of diagnostic images. Infrasonic - Slow moving vibrations that the human ear cannot detect. Infrasonics are used for weather detection or to study blast waves. Structural Vibration - This is the study of how vibrations can affect structures such as buildings and bridges. We know that hurricane force winds can cause bridges to undulate, and that earth tremors can cause buildings to sway. Now we can study the tolerances that are needed to be built in, to ensure structural integrity. Perception, which is how we perceive a sound, as in whether it sounds bright or dark, strong or weak, etc. Speech and Hearing - The study of sounds for human communication, used mostly in a therapeutic way to assist with deafness, stuttering and aphasia, which is the impairment of language caused by a brain injury. Noise Measurement & Control - Studies in this area pertain to the measurement of noise in daily life and its impact on humans. Great effort is being made to understand how noises can affect us, whether they are too loud (industrial) or an underlying hum. Consider the controversy regarding wind turbines and the complaints that the noise they generate could drive one into madness. Architectural Acoustics This involves the use of materials and structural design to either enhance sound or remove it, for spaces we live and work in, and for concert halls. Musical Acoustics - The study of the way in which sound is produced by musical instruments, or relayed by a voice; and the study of the human perception of sound as music. 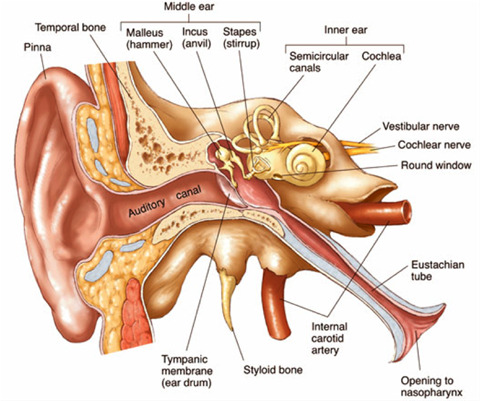 I am most fascinated by the way our human ears are built and how a sound is processed within this tiny, delicate system! It is not a simple, individual process, but rather, a string of minute processes passing through several steps and chambers or parts, and ultimately connecting with the brain. A sound wave reaches our outer ear and is collected or absorbed into the ear canal, causing the ear drum (or tympanic membrane) to vibrate. It next travels to the middle ear, where it encounters 3 bones or ossicles, named the hammer (malleus), anvil (incus), and stirrup (stapes), which interact with each other as a lever system. It then is sent into the inner ear, where tiny fibres and an amount of fluid in the Cochlea also must be involved, to finally transmit the sound via the auditory nerve, to the brain. This passage from Scientific American describes the entire process much better than I can! Let’s take a look at sound waves and try to understand their structure. If we picture a tightened string, when it flexes and is bent or curved upwards, this is called displacement, and the height it reaches is the amplitude. At its median, this is called equilibrium. When it moves below the median, and then back to the centre, this is called the restore point. The amplitude is the maximum displacement from equilibrium. The above illustration depicts a Transverse Wave, and there are other types of waves, discernible by the direction in which the wave is traveling. Transverse waves look very similar to Sine (Sinusoidal) Waves, but a Sine wave is completely linear. Here is the best description that I could find, that compares the two. Ultimately, it is mathematics that defines their properties. “A Sinusoidal wave is a wave that can be described by a single sine or cosine function. A Transverse wave is a wave where the displacement of an element is perpendicular to the direction of travel. If you get your hands on a slinky, a transverse wave goes up and down or side to side, and it kind of looks like how a snake might move. A longitudinal wave goes backwards and forwards along the direction of travel; there is a stretching and squeezing in the slinky that travels along it, looking more like an earthworm. You can also get circular or elliptical waves, which spiral around the direction of travel; I was amazed when I first discovered this while playing around with a garden hose. *So how does all of this relate to music and pitch? Well, Mr. Jean-Baptiste Joseph Fourier (1768-1830) and his work with Spectrum helps us with this. Fourier’s analysis tore apart the Sine Wave and thus identified the various frequencies. His work investigated the spectrum of pitches and found the harmonic content therein, or the ‘fingerprint’ of pitch. Tying in with this fingerprint, we can then correlate pitches to a series governed by ratio. The Harmonic Series ratio is 1 : 2 : 3 : 4 : 5 : 6. We know that our tuning note of “A” is considered to be A440 pitch, which means that the sound is vibrating at 440 cycles per second or 440 Herz. If we therefore start at the lowest A, which would be A110, we then multiply it by 2 we arrive at A220, a 2:1 ratio; and we are given the Octave. When we start with A110 and multiply by 3, we are given E330, or 3:2 and this is the Perfect 5th. A multiple of 4 gets us to A440 and now we have Perfect 4ths with a 4:3 ratio, and so on. Here’s what the ratio looks like, relative to Sine Waves and actual Notes on a C-based progression, on the staff. It works starting on any note. This is known as the Chord of Nature – each note that we add is an ‘overtone’ and these overtones can be found in natural sounds in these exact same intervalic or harmonic relationships. How cool is that?! Never before has there been more meaning to the phrase “It’s all relative”. Cooler still is to look at it through the lens of a Fibonacci spiral and associate to colours! Now, relating to those colours and even more interesting is that each musical instrument has its own set of harmonics, which brings us to TIMBRE, an important part of the Perception of music. Timbre is the quality of sound, and what makes A440 sound different on a flute than it does on a violin. For this we should be very thankful indeed! We are given the painter’s palate of music, mixing primary tonal material. Once again I’m brought around to the voice, and how each voice is its owner’s unique vocal fingerprint. No two voices are the same. We can use our voices to paint in different colours and therefore we use many descriptive words to help a singer find these sounds, or feelings of sounds. Some descriptors would be rich versus thin, or bright versus dark, warm or cold, and in particular ‘round’ is a very good descriptor. In making our sound round, we can then add varying degrees of colour or cover or darkness or brightness. I believe that round is the ‘key’…., but that achieving a nice, round sound is very challenging. Noise is all a part of this too. For many musicians, ‘noise’ can be intolerable, since it consists of clusters of frequencies without Whole Integer Relations. There are different kinds of noise, based on filters, but all noise together is chaos, when all pitches are produced at once. The Acoustics industry has done work filtering frequencies for instance, to create ‘white noise’, which is a blend of sound that is piped into the workplace to create an overarching hum, the purpose of which is to bring a little more acoustical privacy to conversations that are happening in the environment. Some believe that this is not necessary, because the building systems themselves, the equipment in our offices, and the chatter of voices already provides a white noise. I have found myself breathing an audible sigh of relief when the ‘sound masking’ is turned off at the end of the day! Interference is considered to be part of Noise. An example given in class was the interference of a very close tone next to another, and how the two sounds together can seem to generate a beat or a shimmer, a ‘chorus effect’. It is essentially a micro-dissonance. Resonance is a transfer of vibrational energy ~ it is a sympathetic vibration or coupling of a sound. A good example of this would how when a drum is sounded, the wave travels across the room and reaches a bell, which chimes on its sympathetic tone. Resonance and vibration are what give sound its life and colour. The description of noise uses the words Envelope, Onset, Body, and Decay. Each tone is a life unto itself; a Birth, a Lifetime, and a Decay or death. Every part of our brain is in use when we listen to or perform music. It’s no wonder that music can bring so much life to us. A palindrome is a bit of a puzzle. In word play, it is when the letters of a word are reversed completely, and will spell the word the same way. A few examples are the word radar, kayak, or racecar. A musical palindrome is just that ~ a mirror image of a musical passage, which when played backwards brings you to the same theme. We will get back to palindromes after I tell you a little bit about Bach. Johann Sebastian Bach is considered to this day to be the Father of Music. Born in 1685, he was raised to become very religious, but was also a family man who raised 20 children; 7 from his first wife and 13 from his second wife. 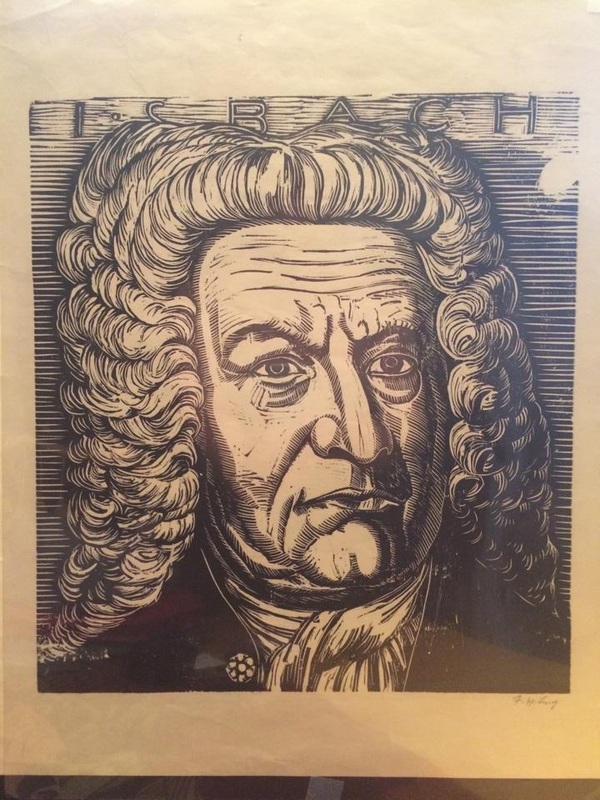 He held numerous positions as a Cantor, an Organist and a Director of Music, both in Churches and at Court, and was of course, a prolific composer, bringing mastery and enlightenment to the sound of Baroque music. In studying the various Forms that music can take, we have learned that compositions can take the form of Contrast or Binary, Return or Ternary, Continuous Return or Rondo, and Variation. Within these forms, there are Subcategories, such as Ostinato, Through-Composed, or Permutative. We already recognize different forms when they come in Cycles, ranging from a song that’s 4 minutes long, to a Cantata that is 20 minutes long, to a Symphony that’s 45 minutes long, or an Opera that’s 5 hours long. Bach’s children were also very musical, and also held positions in Churches and at Court. His one son, Carl Philipp Emanuel Bach, held a position within the Courts of King Frederick II of Prussia. This King, who called himself ‘Frederick the Great’, summoned the truly great Bach to his Courts and challenged him to write a 3 part Canon, based on one of the King’s own compositions. Since the King considered himself to be brilliant, and he also believed that Bach’s polyphonic music was not as appealing as his own more simple melodies, he likely felt very smug asking Bach to improvise on his work. Bach’s response was to humbly sit at the piano and instantly improvise a 3 part Canon based on the King’s theme. A Canon is essentially a Round ~ we know a most common Round to be Row, Row, Row Your Boat ~ so now you get the idea of what Bach had to come up with, given an initial melody to work with. Not to be outdone, the King then challenged Bach to write a 6 part Canon based on this same theme. Bach accepted, but asked for a few days’ grace, and left the Courts. One can imagine him bumping home in his stagecoach writing furiously in order to meet a deadline. However, some weeks later, Bach sent a score to the King which is largely regarded as a thumbing of the nose gesture. He had indeed composed a 6 part Canon based on the King’s theme, and he called it The Musical Offering, or in German, “Das Musikalische Opfer”, or BWV 1079. Bach’s brilliant response was not only a 6 part Canon, but it was a complicated pattern using mirror images of the theme, repeatedly, which is now known as a Crab Canon and is most certainly a Palindrome. I can envision the modest, God-fearing family man that Bach was, presenting the King with his work ~ a King who found delight in humiliating others. How satisfying it must have been for Bach to quietly and triumphantly smile, his composition lasting an hour and posing a puzzle that likely took the King some time to solve. Perhaps he never did.